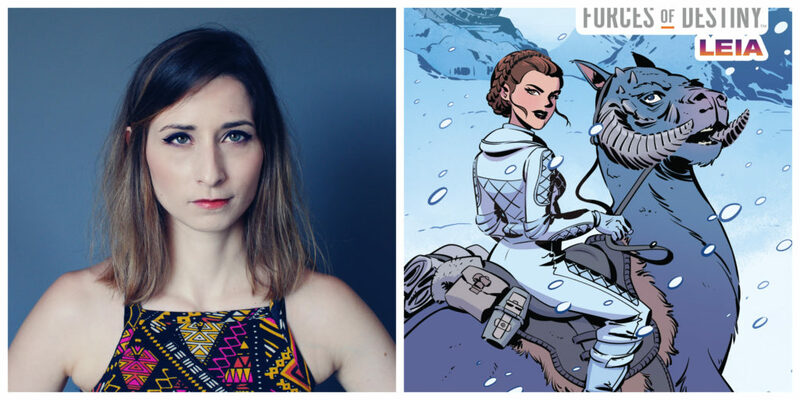 Artist and writer Elsa Charretier has worked on a variety of Star Wars comics and books including Star Wars Adventures, Forces of Destiny: Leia, and Choose Your Destiny: A Han & Chewie Adventure. 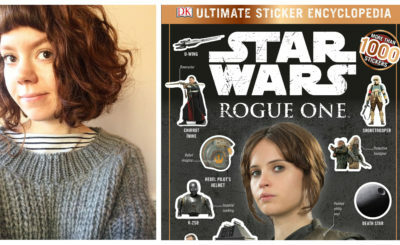 She has also done variant covers for Star Wars Annual 2 and Captain Phasma, Part IV. Charretier has also created art for Harley Quinn, Starfire, and DC Comics Bombshell at DC Comics and The Infinite Loop a comic she co-created at IDW Publishing. 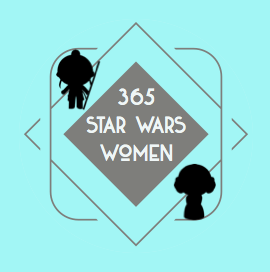 Elsa was kind enough to answer a few questions via email about her career for 365 Days of Star Wars Women. What was your introduction to Star Wars? Do you have a favorite film? 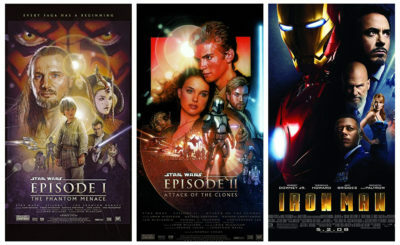 I’m a sucker for Episode IV. It’s just such a perfect introduction to Star Wars. You get to discover this world for the first time, and boy it is incredibly cool. I also loved The Last Jedi. I really really did. I was on the edge of my seat during the whole movie, and I can’t wait to see it again. And I love that I got to see in a theater for the first time because seeing A New Hope more than 20 years after it premiered is a huge bummer. How did you get your start in comics as an illustrator? Have you always been a fan of this medium? Compared to most artists, I started drawing rather late- I was 25. 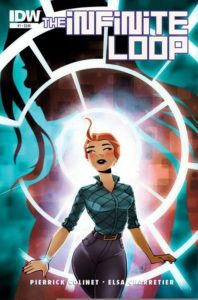 The first professional work I ever published was The Infinite Loop, a creator-owned comic book that Pierrick Colinet and I did together. We crowd-funded it in France, and used the remaining money to go to New York Comic Con. The idea was to submit the story to an American publisher and hopefully get our feet through the door. IDW liked the book, and this launched our careers. After that, we got a lot of incredible opportunities and have been working professionally ever since. We’re very lucky that it all worked out so quickly. You have worked on graphic novels you co-created (The Infinite Loop) as well as already established characters and universes (Harley Quinn, Unstoppable Wasp, and of course Star Wars). How does your creative process change when you are adding to the history of an already beloved character? The core of the work is pretty much the same. You still have to write a compelling story and draw accurate anatomy. Creating your own story may seem like you have a lot of freedom, but that freedom can be overwhelming. You need to create everything, character bibles, designs, environments, and make sure it works as an ensemble. This can be extremely time-consuming. But on the other hand, you get to do what you want and creates something that is more personal. What I truly love about Star Wars is that you have the constraints of an established world, but it’s sooooo vast that it’s much less limiting than most properties. I love that when you need to write something specific, you get to have a dozen encyclopedias to guide you. 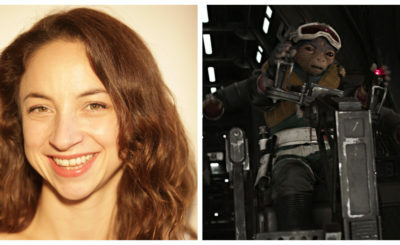 If fell like as creators, Star Wars provides us with the best of both worlds. How did you find out you were going to work on your first Star Wars project (which I believe was the variant cover for Star Wars Annual 2)? Were you seeking out a project with Star Wars or was it a lovely surprise? This cover was a complete surprise, and I was thrilled. I mean, I got to draw Leia on my first Star Wars gig. And I feel I got to explore the universe a lot more when I started working with IDW on Star Wars Adventures. I got to develop stories from scratch, and I had so much fun I kept asking for more. I feel extremely lucky to get to work on such an incredible property. You have done several variant covers for Star Wars comics (Star Wars Annual 2, Captain Phasma, Part IV, Star Wars Adventures 1 & 2). How does this process work? Do you get to read the comic or see other cover art before you work on your cover or do you just get an overall idea of the comic story before you go to work? Do you turn in a few versions of covers for editors to pick from or work based off a pitch? Since comic book covers are done so much in advance (they are featured in the Previews catalog three months before the actual comics hit the shelves), cover artists rarely know what the book is about. Ideally, we would have a script, but that’s only rarely the case. The editor will give us as much information as possible, and sometimes will have a concept in mind, but most of the time, it’s up to you to come up with your own take on the character featured inside the book. We are asked to send a few thumbnails- I tend to do a couple. Once you receive approval on one of them, then it’s off to pencils. I have seen some incredibly detailed thumbnails, but mine are usually just a bunch of indistinguishable lines. Most of the time I actually have to explain what the concept is. I’ve tried to go more into details, but I just get bored at the penciling stage. But this is a double-edged sword because sometimes you start detailing shapes and realize oh Lord, this doesn’t work. 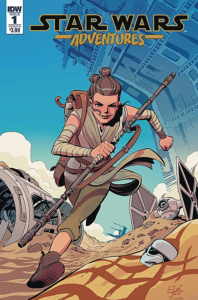 In addition to your illustration work, you also co-wrote two Star Wars comic stories with Pierrick Colinet – “Tales from Wild Space: The Flat Mountain of Yavin” that was part of Star Wars Adventures 2 and Forces of Destiny: Leia. How does wearing both illustrator and writer hats on a project change how you approach the project? Was it your idea to include Evaan Verlaine in The Flat Mountain of Yavin? Had you read the Leia comic series that introduced her character before you wrote The Flat Mountain of Yavin? Pierrick and I are used to collaborating, and I’ve been more involved in the writing for about a year or two. This has been a fairly organic process so it’s hard to say how differently I approach it. But yes, I definitely get to have a bigger impact on storytelling than when I get a complete script from another writer. It’s just a different experience and flexes a different muscle. Having to adapt to another writing and storytelling style can teach you a lot and will help you question your choices and make new ones. And I’ve been very lucky to work with writers open to storytelling suggestions. I think I would hate being an “executor”- the collaborative process is essential to comics- at least I find it essential to my own creative process. As for Evaan, I remember that we needed a pilot, and we wanted a woman. We had read the Princess Leia comics and loved the character. It was a pretty easy choice! 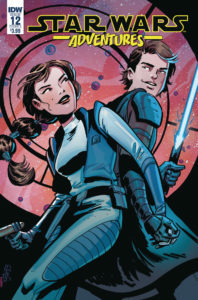 You and Pierre also collaborated on a Lando Calrissian story that will be in Star Wars Adventures 10 & 11 and a Padmé & Ankakin story in Star Wars Adventures 12 & 13. Can you tell us anything about these projects like other characters that will appear or where they occur in the Star Wars timeline? Well, honestly, Pierrick and I both jumped at the chance of doing a story on Cloud City. And this was a huge thrill in itself. I can’t tell much about the story besides the fact that we got to create two characters that I hope we’ll have another chance of playing with in the future: Jiandy, a Nautolan kid that’s causing some trouble to Lando, and Askroh, a sort of Cloud City crime Lord who’s causing even more trouble to Lando. I had an incredible time both writing and drawing this story. And it’s actually my first pages back on ink and paper after four years of inking digitally. Couldn’t have picked a better project for it. As for the Padmé & Anakin story, we get to explore romance a little bit- both of them go away for a little getaway to clear their heads after the Senate attack, but after, Star Wars being Star Wars, there’s always someone getting in the way. Did you ask to write new stories about Lando and Padmé & Anakin or were you asked to write about these characters? Stories were assigned by the publisher, but both were completely fine by us! Of course Padmé & Anakin are a bigger challenge than Lando, because, well, you know why, but we get to develop a side of them we don’t see much in the movies. And to be completely honest, I would be happy to work on any Star Wars character. This is such a rich and vast universe that you can have fun with probably anything. When we heard that we were to set the Forces of Destiny: Leia issue on Hoth, our initial reaction was- well, there’s ice, ice, and then some more ice to draw. But eventually we wrote the story to make the best out of that visual constraint and use snow as a negative space throughout the pages. Can you talk about any other projects you have coming up? Pierrick and I co-wrote a creator-owned YA comic book that’s going to be announced at the beginning of June and although I can’t tell much about it, we are thrilled to see it coming out. It’s a project we’ve been working on for a while, and are very excited about. We also have a few other things in development, but sadly can’t say anything about! Then some more Star Wars I hope! Do you have any advice for artists, especially women and young girls, who want to break into the comic business? You can find Elsa on Twitter @e_charretier. If you’re interested in buying a print from Elsa Charretier or getting a commission head on over to Big Head Little Arms.